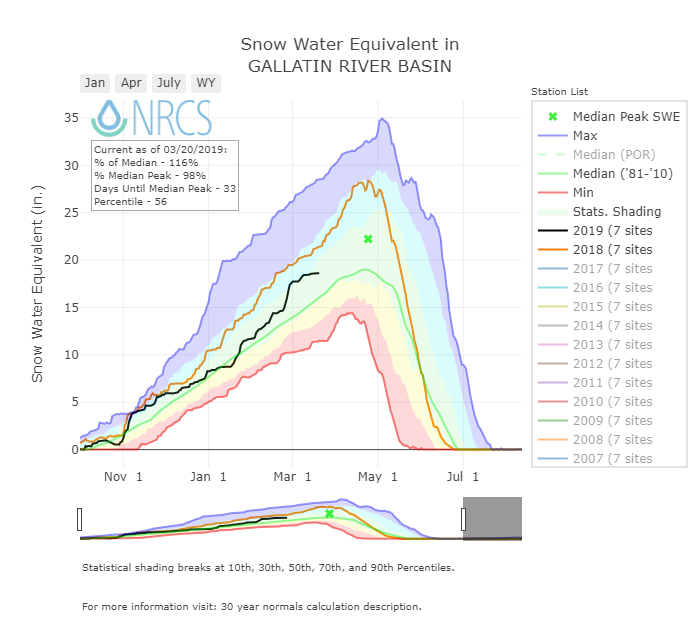 Gallatin County has received a record amount of snow in the past month for that period of time with the snow containing a near record amount of water. However, the area isn’t too far off our average amount of winter precipitation for this time of the year (year to date). We just received a large amount in a small period of time and there is more snow on that valley floor than we typically see at this time. The graph to the right illustrates where we are now (black) compared to statistical medians and 2018 (orange). So, will we flood? 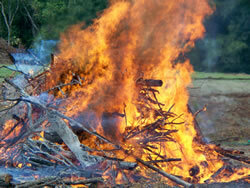 We don’t know and really won’t have have a good indication until we see the weather for the next month. Our area often sees heavy wet snow dumps in the spring and that is often a major contributor to spring runoff. The big question with flooding is how quickly the snow melts in the mountains or valley floor. 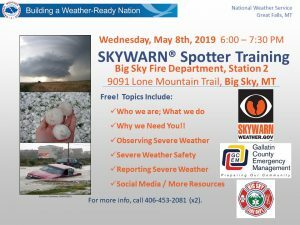 Common situations that frequently expedite the snow melt are quick temperature shifts into the 70’s, mountains not dropping below freezing at night and significant warm rain over a short period of time. When these factors align, we frequently see widespread flooding. 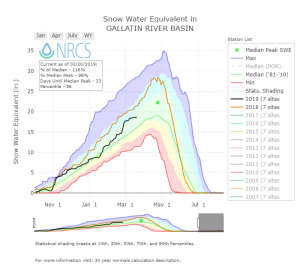 With the speed of the snow melting largely dependent on the weather over the next month and these contributing factors occurring, it is hard to say with certainty if we will or won’t be affected by widespread flooding. The graph below indicates some recent large flood impact years with 2008 (orange), 2011 (purple) and 2019 (black). While 2011 was a large impact to Montana, 2008 was the largest impact to Gallatin County in recent history where we experienced widespread flooding when the temperature turned hot and we experienced several days in a row of significant rainfall in the valley and mountains in May. 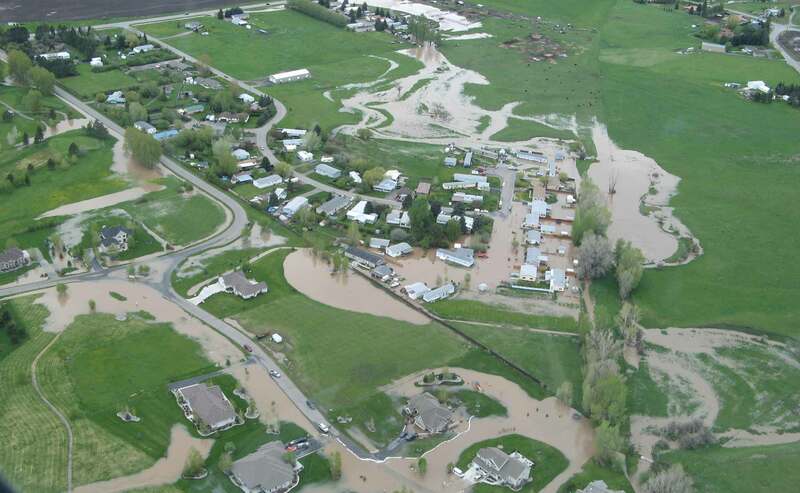 This release of water in a short period overwhelmed our waterways and resulted in flooding. This rapid snow melt is indicated in the red box below. The key is that we want to make it as easy as possible for the water to flow away from your house!